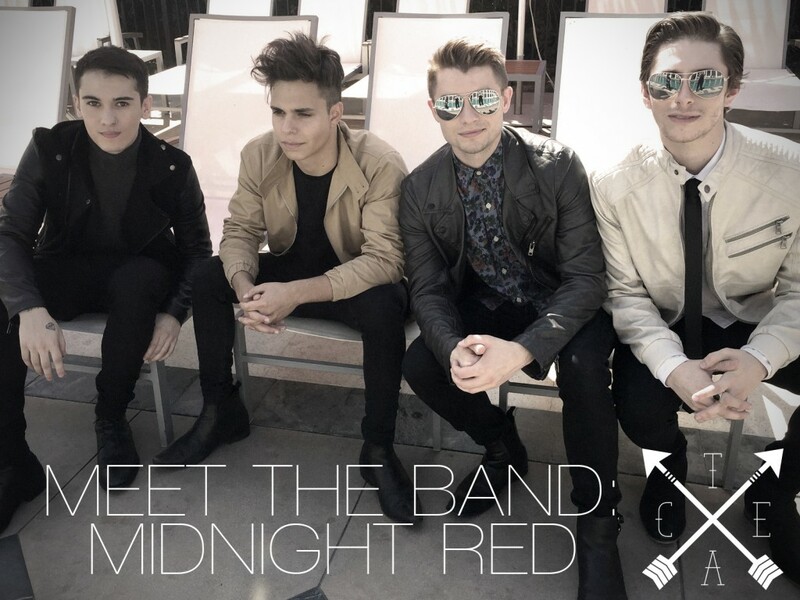 CLV > Blog > Meet the Band: Midnight Red! Meet the Band: Midnight Red! We are SO excited to be working with Midnight Red for our Prom 2016 campaign. It has been so great spending time getting to know just a little bit about these awesome guys! The 4 kept us more than entertained while on-set. When they weren’t singing, they were dancing, and when they weren’t singing or dancing they were cracking us up with their fun and dynamic senses of humor! Without further ado, let’s meet these guys! 1. Q Any weird habits we should know about? A I never stop singing throughout my day. 2. Q Describe your perfect date! A Something on the beach, we’ll sit, relax, and listen to the waves…with Midnight Red playing softly in the background of course. 4. Q How do you go about approaching a girl you like? A I keep it simple and I normally just look for the girl with the brightest smile and personality and hope for the best with starting a conversation! 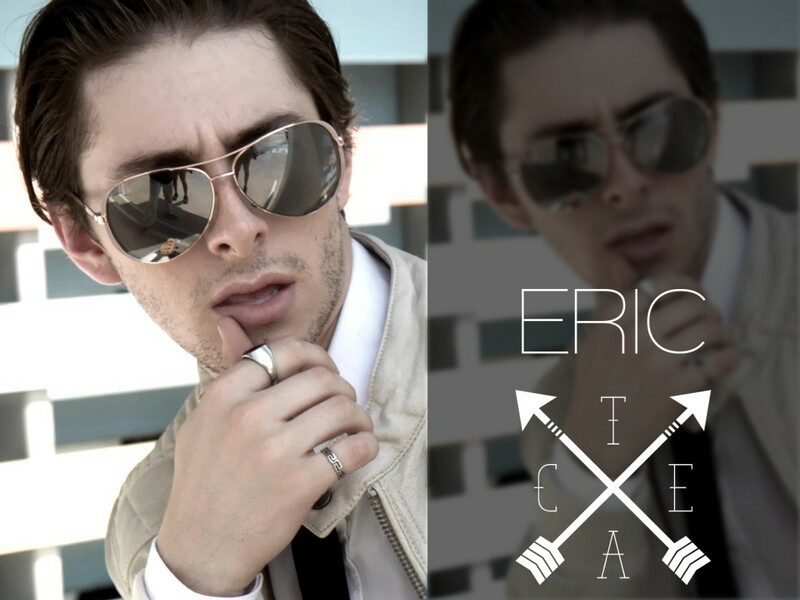 –We must say we are big fans of Eric’s PROMposal idea, that took some real thought and effort! 1. Q Name a habit you have that you consider a little weird..
A When I’m nervous, I run my hands through my hair. 2. Q Describe your perfect girl! A Any girl I can laugh with and be myself around. 3. Q Which dress stole your heart today during the shoot? A The red one, definitely. It’s simple, but beautiful. 4. Q How would you describe your personal style? A I tend to wear a lot of black, but I have the most colorful personality, so I can’t really say I dress according to my mood, it more so it has to do with what makes me feel sleek. 5. Q How do you approach a girl you like? A I lean more toward creating a friendship first, so we can get to know each other and I’ll let her know what I find special about her; then see where things go from there. 1. Q What’s your favorite food? A Olive Garden in Time Square…did I mention I like pasta? 3. 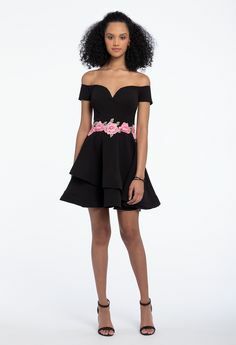 Q Which dress would you love to see your date in?! A I loved the white dress, something about it just caught my eye. A Hmm, fairly clean cut and simple. I like a button up tee. 5. Q How do you normally approach a girl you like? 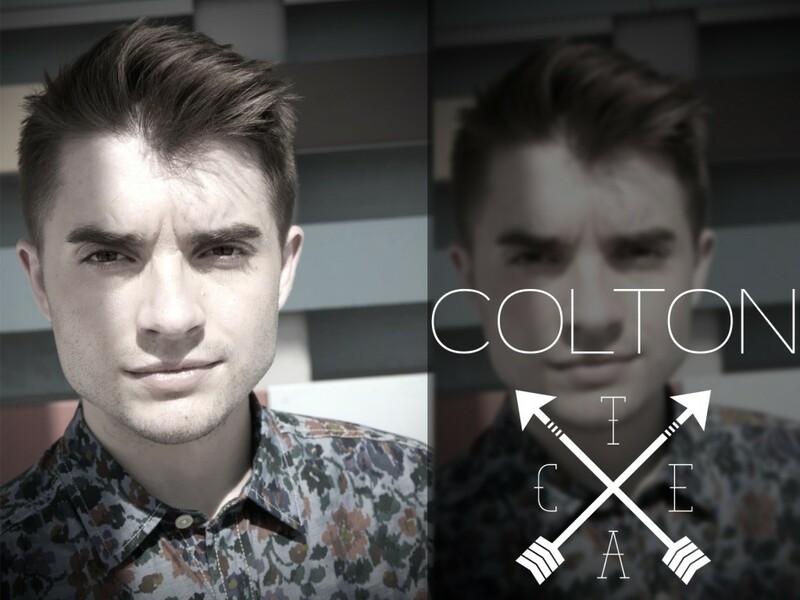 –We love Colton’s laid-back and cool vibe, very down to earth! We’ll meet you at the OG for endless soup and breadsticks anytime! 1. Q Any foods you can’t live without? A Depends on the craving, I’m a total foodie, but sushi is always a safe bet! 2. Q What would your perfect date consist of? A Lots of conversation! My eyes and ears are focused just on my date, I’m eager to know you! 3. Q Which of these dresses would be your fav for your prom date? A Honestly, it’s about her, so whatever she feels most beautiful in. A Quality basics with the occasional statement piece. Oh, and great cologne, your signature smell is so important! A Whenever I think something nice, I go out on a limb and let her know with a compliment. 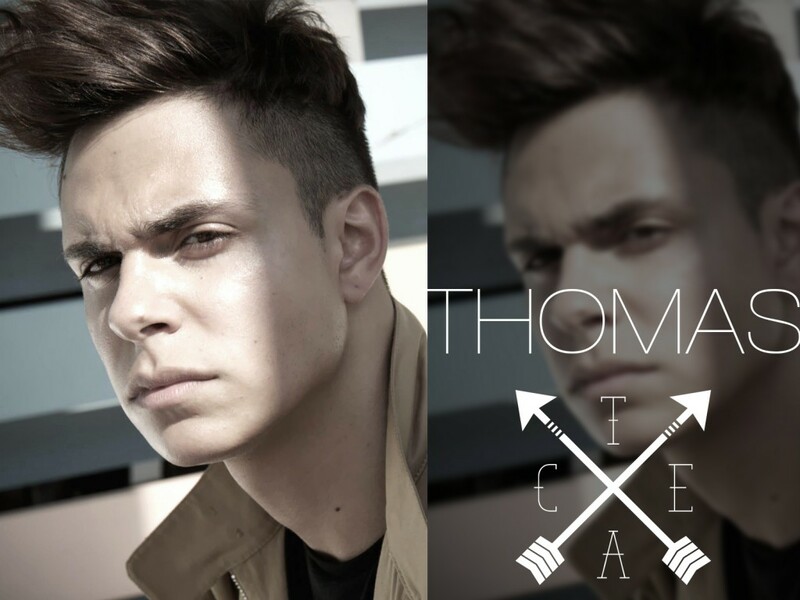 –In love with how in tune Thomas is to how a girl wants and should be treated! He’s a keeper. 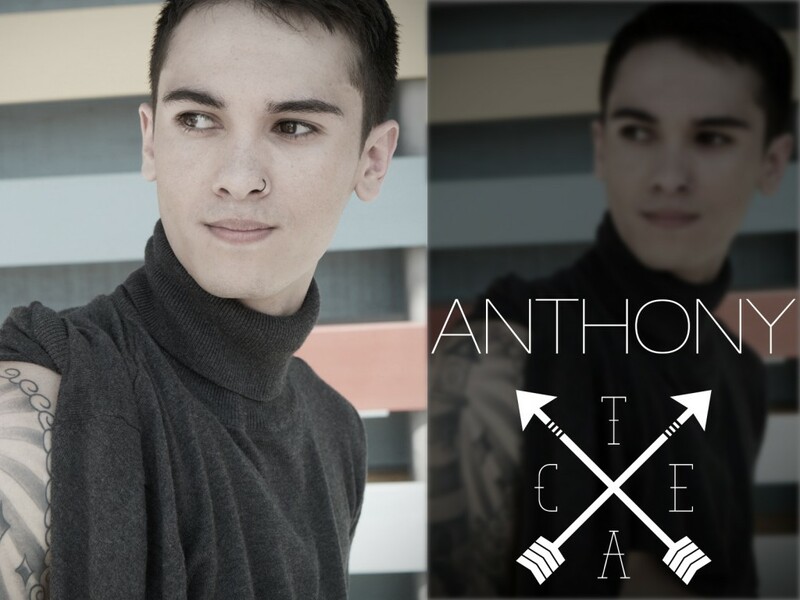 Is it possible to swoon our way through an entire interview, because I think we just did! These guys are IT! We can’t get enough of them, talented, sweet, positive, and hilarious! Stay tuned for more Prom 2016 posts from Camille La Vie and Midnight Red! November 25, 2015 by Camille La Vie | Comments Off on Meet the Band: Midnight Red!